Thomson Reuters and the UK Sustainable Investment and Finance Association (UKSIF) announced the results of the 12th annual Thomson Reuters Extel/UKSIF SRI & Sustainability Survey . 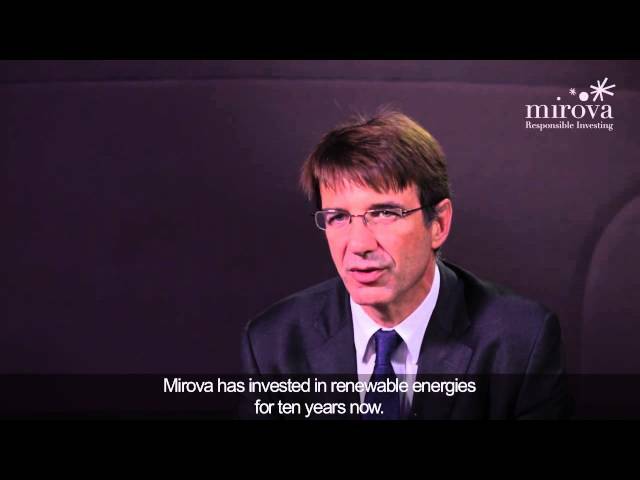 Mirova, Natixis AM’s subsidiary dedicated to sustainable investment, is ranked number 1 in “Leading Fund Management Firm Best at SRI/ESG” category. The 2014 Survey represents the views of over 360 investment professionals from 27 countries, making it the most extensive assessment of socially responsible investing (SRI) in the European investment community. Voting was conducted from 24th March to 7th May 2014. It reflects a contribution from 179 buy-side firms and 14 brokerage firms/research houses. Reference to a ranking and/or a price does not indicate the future performance of the UCITS or the fund manager.